Cloonbracken Cicero is an ET calf from Canada. 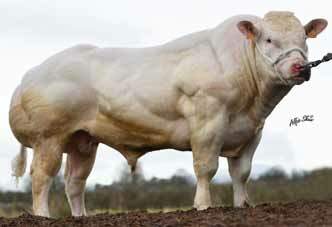 His sire “603” is the top carcass bull in Canada and is now doing a superb job in Australia. 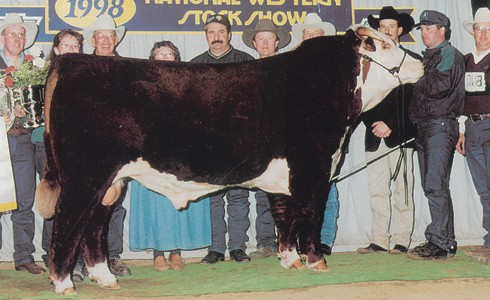 “13D”, Cicero’s dam was one of the top producing cows in the LRD herd. Cicero is a full brother to our “Homebuilder” bull and also a full sister to LRD Home Maker 32J – donor female for Brandl Cattle Co., Alberta, Canada (see below). Tremendous satisfaction with Cicero progeny. Easy fleshing with excellent weight gain. Cicero is siring excellent Pedigree calves. 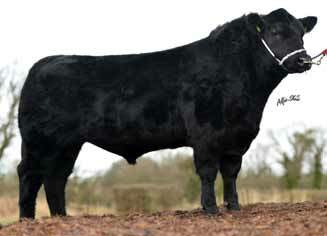 Cicero produces very well muscled progeny with style and growth.